The Red Chimney on Fleet Avenue in Slavic Village (or as it’s called by the residents “Warzawa”) is hard to describe. 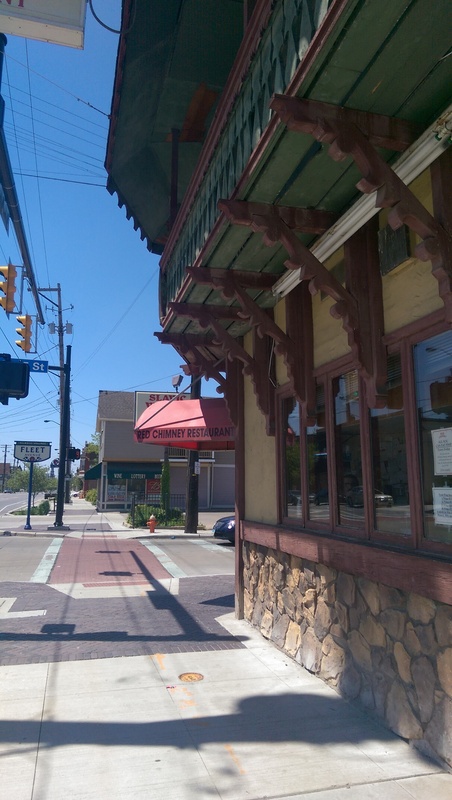 It is a Slavic Village institution that has been in business since the 1970s. 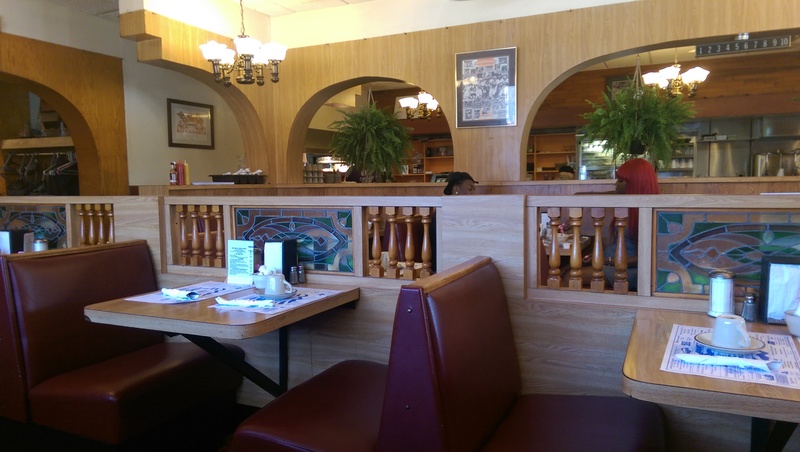 It’s like your typical Americana diner with a Polish influence, and the decor hasn’t been updated since the 1970s. The food is heavily Eastern European and pure comfort, ranging from cheap breakfasts served all day to sandwiches and burgers and entrees like stuffed cabbage, pierogi, kielbasi, wiener schnitzel and city chicken. The food is very affordable. I think the most expensive thing on the menu is twenty-five chicken wings for $16.99, but most dinners are under $10. On weekdays before 11 a.m. you can get two eggs, ham, sausage or bacon, potatoes, and toast for just $3. The service is quick and efficient, and the majority of the customers are all over the board, from a table of police officers, a table of businessmen holding a meeting to a table of young people trying to get rid of their hangovers with a nice greasy breakfast. 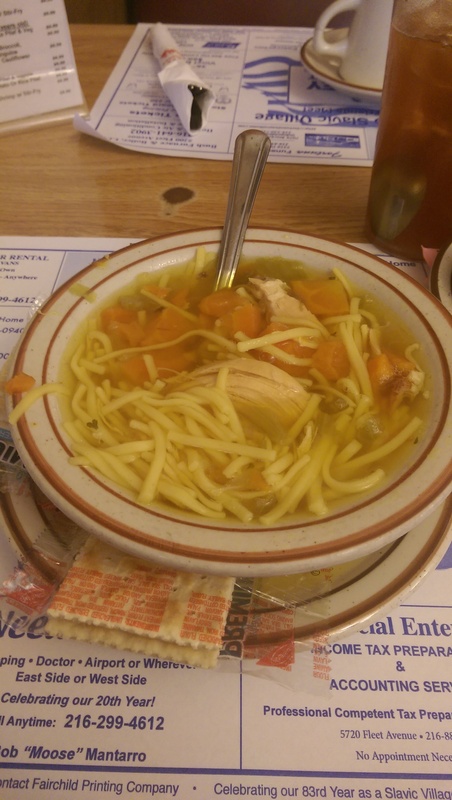 I keep coming back for their chicken noodle soup, which is probably one of the best soups I have had in a long time. 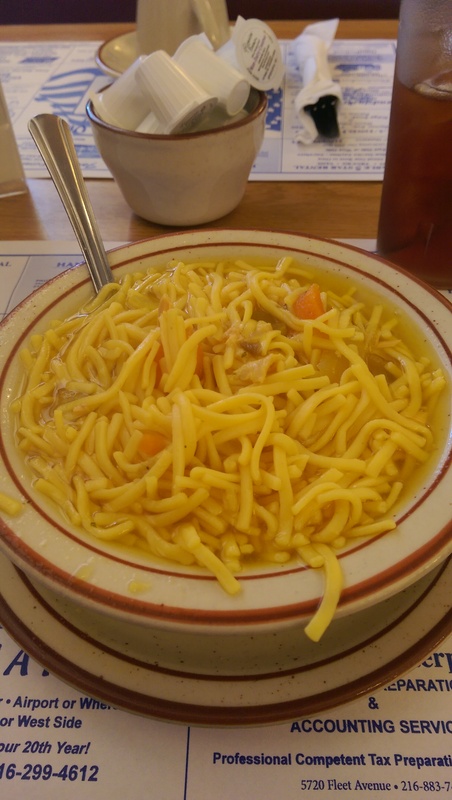 Chock full of homemade noodles, chunks of fresh carrot and celery, and shredded chicken in a tasty broth, I can’t get enough of it. 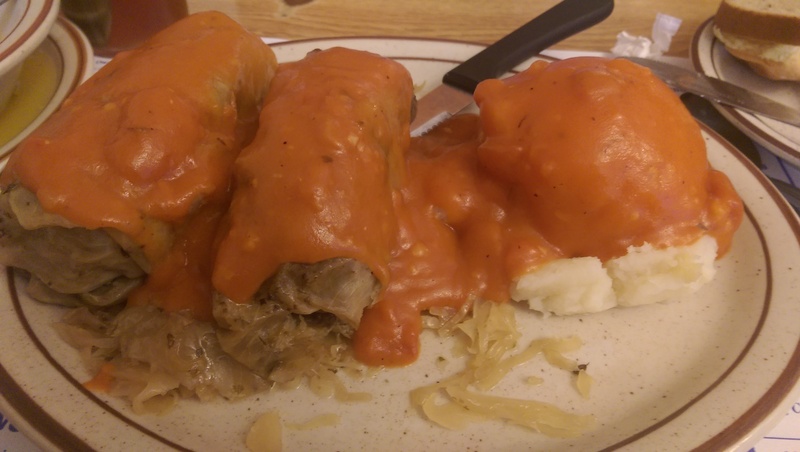 On my first visit I ordered the stuffed cabbage dinner. 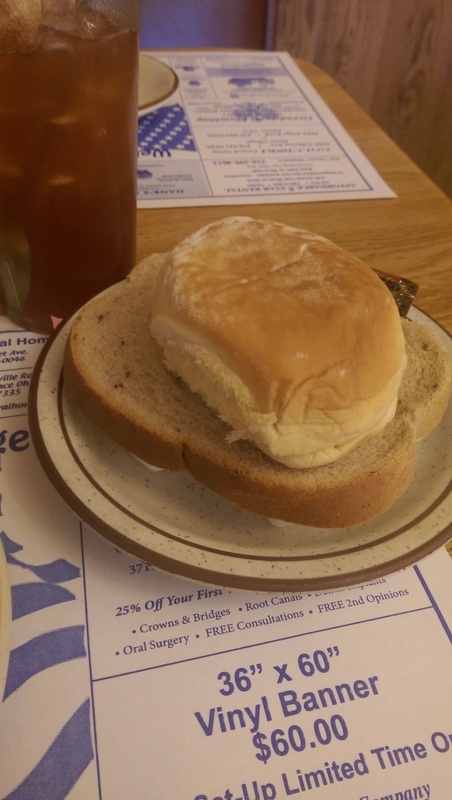 It is served with soup or salad, sauerkraut, your choice of potato and rye bread or dinner rolls. I went with the mashed potato and couldn’t decide on the bread so the waitress brought me one of each. They were both delicious. The rye bread was soft and flavorful, and the dinner roll was yeasty and delicious. So good! I’m not sure if I enjoyed the somewhat blander tomato sauce they used, but I’m sure most people would love it. I prefer dousing my stuffed cabbage with ketchup to give it a kick (I know, I’m a heathen, but I’ve been eating it that way since I grew up eating my grandmother’s stuffed cabbage). Next time I’ll just order ketchup on the side without any shame. The meat and rice filling is tightly packed and flavorful, and the serving was enormous. I brought half of my meal home (one whole cabbage roll and half the mashed potatoes) and thoroughly enjoyed it the next day. I came back just a few days later for the soup again. This time I decided to order a club sandwich to go with my soup. The meat and fixings in the club sandwich were super fresh. In fact, the tomato kept falling out of the bread, and I ended up wearing a lot of it. 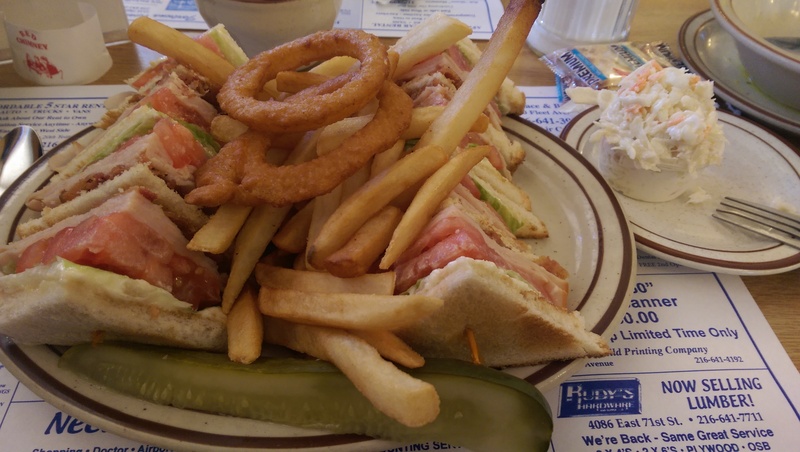 I learned to order a side of Thousand Island Dressing with club sandwiches back in my Bakers Square days, and my request was accommodated without any questions. 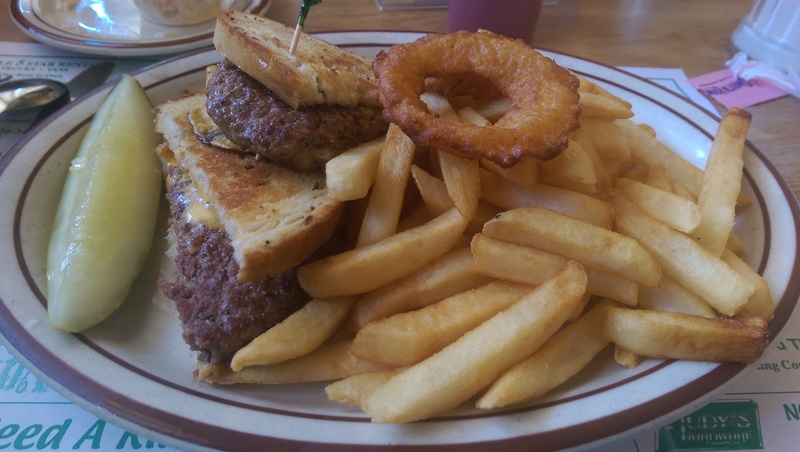 I chose the french fries as my side, but they also throw in a couple onion rings, which were really delicious. The fries themselves were nothing special, but I nibbled on them because they were there. It also came with a small side of coleslaw, which was fresh and creamy and overflowed onto the side plate it was served on. Again, I ended up taking half of my meal home for later. The place is clean, friendly, and about as old-school as they come. The servers are friendly and efficient, the portions are huge, and the soup overflows the bowl. Every time. And every time I am tempted to drink the last drops directly from the bowl, but decide manners are more important. It is worth mentioning that they do not accept credit cards. It’s a cash only restaurant, so be prepared. There is plenty of parking along the side and in back as well as across the street, and there is a door off Fleet Avenue as well as off the back parking lot. Slavic Village has gotten a bad reputation, but the people in the neighborhood are working hard to counteract that and it was recently voted the winning host neighborhood for Cleveland Chain Reaction. Cleveland Chain Reaction is a concept backed by LeBron James called “Cleveland Hustles,” with local business owners hustling to get their idea off the ground. Hopefully Slavic Village will once again become an up-and-coming neighborhood with the total economic boost to the neighborhood predicted to exceed $1 million.